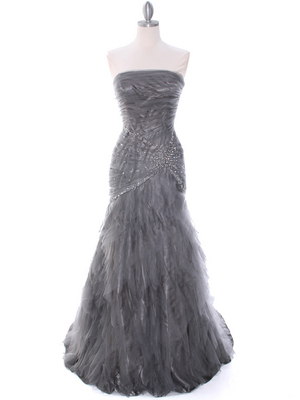 Silver Evening Dress | Sung Boutique L.A. This gorgeous evening dress features V shape shoulder straps with sparkling rhinestone decor detail the front. Pleated bodice and flowy skirt finishes the look. - Approx. 60 in. 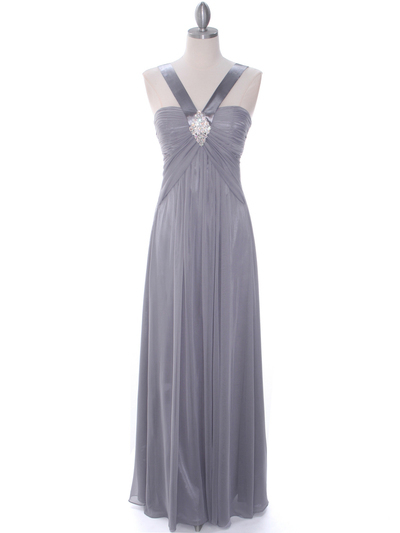 from shoulder to front hem.